IOPSA is looking for an energetic, honest and reliable person to take up a position of technical manager. Under the direction of the national technical officer, the candidate will be responsible for all Gauteng plumbing inspections and the administration of national technical complaints and queries, liaising with regional chairman, operations manager and regional inspectors to resolve. 1. Minimum 5-8 years plumbing experience. 5. Contractual knowledge and experience. 6. Knowledge of all SANS standards and regulations. 7. Excellent administration and organisational skills. 9. Must be able to initiate action. 12. Computer literate is essential. Salary will be based on experience. This is a full-time position and the successful candidate will be based at the national office in Edenvale. The Institute of Plumbing South Africa (IOPSA) organised a series of plumbing roadshows that emphasised the achievements and benefits of the industry. The institute national executive director Gary Macnamara and operations manager Steve Brown attended regional events in East London, Port Elizabeth, George and Mossel Bay from the 1 to the 5 June. The objective of the institute road show is to communicate a common message specific to the direction that IOPSA is heading and the value that the institute has obtained and continues to achieve. In addition the institute gathered insight through meetings held with industry role players. This included engagement with local authority building and water inspectors, construction plumbers and IOPSA regional committees. The importance of building trust within the industry was emphasised and is paramount to growing the institute and members benefitting directly. Furthermore communication of key areas of value in terms of industry representation indicates that the institute is strong and building even stronger support structures. Brown gave feedback on specific examples where IOPSA members have directly benefited through their institute membership which opened member’s eyes as to ‘what does IOPSA do for us’. Macnamara highlighted IOPSA’s recent achievements and the importance of industry compliance, Plumbing Industry Registration Board (PIRB) awareness, Continuing Professional Development (CPD) activities, institute forums, current IOPSA projects and the 2016 World Plumbing Conference in Cape Town. Consumer communication will be a focus in educating building owners on the value of plumbers and the benefits of using an IOPSA member. This will achieve confidence as consumer’s awareness that they can have recourse through IOPSA. The need for effective occupation training and supportive informal training must be a focus to reduce the skills gap created in recent years. In addition engagement with building industry professionals will be a priority in creating awareness of industry concerns and challenges. A highlight of the trip was delivering training on plumbing standards to the Mossel Bay building inspectors which also gave the inspectors an opportunity to engage with the local PIRB inspectors. Member feedback from the first regional events was extremely positive with some key concerns highlighted that IOPSA will address in its overall objective to continue being the leading body for plumbing in South Africa. Huge thanks must be given to regional committees for organising these successful events and the association believes that through the commitment of these volunteers IOPSA will grow from strength to strength. IOPSA looks forward to the next road shows happening in Bloemfontein, Johannesburg, Rustenburg, Durban and Cape Town over the next month. The association will be having at least two roadshows a year to engage and communicate with members and the plumbing industry. Thanks to sponsors of these past events which included: Apex Valves, Benzomatic, Copper Development Association Africa, Grohe-Dawn Water technology, Hansgrohe, On tap, PIRB, and Plumblink. IOPSA is planning its roadshows for 2015 and would like you to be a part of this incredible experience. Stops are scheduled for all major cities around South Africa. Each event will emphasise the achievements and benefits of the Institute, will include continual professional development (CPD) activities and workshops, and highlight the Institute’s current projects. Feedback will be provided regarding legislation, standards, building inspectors and products. New plumbing qualifications and trade testing will also be discussed. It is important for licensed Plumbing Industry Registration Board (PIRB) plumbers to attend CPD workshops. Such workshops will provide insights into the cost of being in business, updated skills and knowledge, and offer a solution for the best plumbing and business sustainability practices. 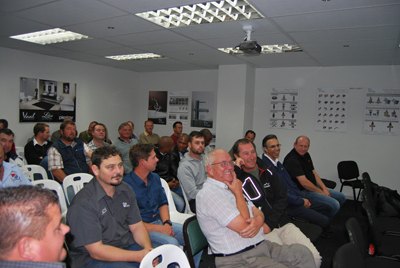 Each roadshow is aimed at uplifting the skills and knowledge of plumbers, and creating awareness about the industry. The roadshows are free events and will earn you two CPD points, so come and enjoy a relaxing and informative evening with IOPSA. For more information about getting involved with a roadshow near you, contact IOPSA on 08610 PLUMBER or go to www.iopsa.org/events to register. What are the benefits of continuing professional development (CPD) and the cost of being in the plumbing industry today? Continual professional development (CPD) refers to systematic maintenance, improvement and broadening of one’s knowledge and skills. It is also regarded as the development of personal qualities that are necessary for execution of professional and technical duties throughout one’s plumbing career. CPD is important for plumbers to acquire new and updated level of knowledge and skills. CPD does not only add measureable benefits to the practice of plumbing but also to the plumbing industry as a whole. There are many benefits associated with CPD for the plumbing industry. It creates awareness, understanding, the advantages, disadvantages and any possible pitfalls that may arise from new technology. CPD emphasises any new and changing legislations that may affects one’s business and trade. It improves the skills of employers and employees within the plumbing industry. CPD offers professional business and technical development. It also offers solutions for the best plumbing practise. Are you unsure of how to calculate a plumbing rate? Are you a tradesman or a businessman struggling to pay the bills; your clients are not willing to pay for your services; feeling stressed and unhappy about your business? Then perhaps your plumbing rates are in the competitive market. Joining IOPSA can help you overcome such setbacks. IOPSA offers business guidance and emphasises the cost of being in business. The consequences of not charging the correct rates may result in an unsustainable and unprofessional business practice. Employers will not be able to employ qualified plumbers. Poor quality installations, non-South African Bureau of Standards (SABS)-approved products will be used, resulting in possible further problems for clients. This will lead to unsatisfied clients that will not return to your business. Employers will not be able to market their business as they do not meet the minimum legislations and standards for the plumbing industry, which may result in legal action. Other consequences of inaccurate rates is a lack of administrative and financial support for the business. Both the employer and employees will not be entitled to business insurance cover, medical aid, pension fund, and income protection. All of these put your business at risk. Did you know that if you have not catered for proper business costs, travelling time, sick and annual leave days, public holidays, non-working months, non-billable hours, and profiting your business, it may not survive or will become insolvent? Cape Town, 8 July 2015. Book now or miss out! The cost per workshop is R150 for IOPSA members and Plumbing Industry Registration Board (PIRB)-registered plumbers; or R900 for non-members. As of April 2014, the new age (A21 apprenticeship) qualification and assessment (trade test) for solar hot water installers came into effect. This means all plumbers who are not qualified and want to carry out solar installations will need to be qualified through the new learning path, in addition to being registered through the Plumbing Industry Registration Board (PIRB). As of 2014, all plumbers doing solar hot water installations must issue a COC. WHAT IS THE NEW AGE (A21) APPRENTICESHIP QUALIFICATION? * NOTE: Entry requirements = Grade 11 (above 50% for maths & science) or NQF3 equivalent to N2 knowledge areas of engineering Maths, Science and building drawings. As of 2014, all plumbers doing solar hot water installations, under the new Section 9 of SANS 10106: 2014, must issue of a certificate of compliance (COC). It is a requirement, the same as an electrician must issue an electrical COC for the electrical installation. Before an individual can issue a COC for solar hot water installations, they need to be a qualified plumber and been trained and assessed in the occupation of a solar hot water installer. There are various routes to gain this occupation qualification, depending on your current status. Individuals who are qualified plumbers but not registered with PIRB as a solar hot water installer will need to complete the solar qualification. Once completed, a trade test for solar hot water installers will need to be assessed. The plumber will then need to register with PIRB in order to be able to issue a certificate of compliance on completion of a task. Individuals who are not qualified plumbers and not registered with PIRB as solar hot water installer will first need to complete an Occupation: Plumber Solar hot water installer certificate. Once completed, a trade test for solar geyser installations will need to be assessed. The plumber will then need to register with PIRB in order to be able to issue a certificate of compliance on completion of a task. Individuals who are new to the plumbing industry will need to obtain an occupation plumber qualification first. Then an occupation qualification for solar heating systems will be needed, followed by an assessment (trade test) and certification for solar geyser installations. Qualified individuals will then need to register with PIRB in order to be able to issue a COC on completion of a task. Training providers wishing to train will need to be accredited through the Quality Council for Trades and Occupations (QCTO) as a skills development provider for solar hot water installer qualification. IOPSA has been appointed as the Quality Assessment Partner for this qualification and assessment. Contact IOPSA to get approval and be recommended for accreditation. The purpose of such a specific qualification will be to prepare learners and plumbers to install solar hot water systems successfully and in accordance to the National Building Regulations (NBR). Obtaining the occupation solar certificate qualification will also improve the employability of individuals and level of salary. This qualification resides as one of several new plumbing qualifications with varies learning paths to gain access to the solar hot water installer occupation. The main benefits of this qualification for learners are that learners have an opportunity to be recognised as a qualified solar water heater installer with well-structured, relevant and current competencies and will be able to have access to entrepreneurial opportunities within the plumbing sector. Prepare and plan for the installation of solar hot water systems. Install solar hot water systems in a safe and compliance environment. Diagnose and repair faults and maintaining solar hot water heating systems. Under the new legislations, the practice of performing solar installations without being properly qualified, not using compliant materials and not issuing PIRB COCs is now illegal in terms of the National Building Regulations, Water Services Act, Occupational Health and Safety Act, the Water and Sanitation By-laws, and the Consumer Protection Act. A solar water heating system is not SANS 10106 compliant if a certificate has not been issued. COCs will also be required for insurance cover of the installation. On 12 February 2015, a 22 year old man died in Pinetown after sand at the side of a trench caved in on him. This incident has raised questions regarding the safety of construction and the regulation standards in South Africa. The 22 year old man’s identity has not been revealed. It is believed he was working in the trench for a contractor at a private business premises in Manchester Road, Pinetown. According to Doug Michell, health and safety manager for the Master Builders’ Association (MBA) north region, the current safety regulation standards for working in trenches include a process of procedures. The process should begin by appointing a competent person in writing to supervise the work. A competent person, in the context of the construction regulations, means having the required knowledge, training and experience, in respect of the work performed. In the case of plumbers where work includes excavations, it may not be the main task but is part of the work which requires special skills to be able to identify the potential dangers with regard to the excavation. Evaluate the soil conditions, based on this identify what precautions should be taken (plan before you dig) – sloping, benching or shoring. Monitoring the conditions, particularly water accumulation. Inspecting the excavation before commencing work, not only at the beginning of a shift but also after breaks in the work. Keeping spoil and machinery away from the edge of the excavation. Provide convenient and safe access into and out of the excavation. 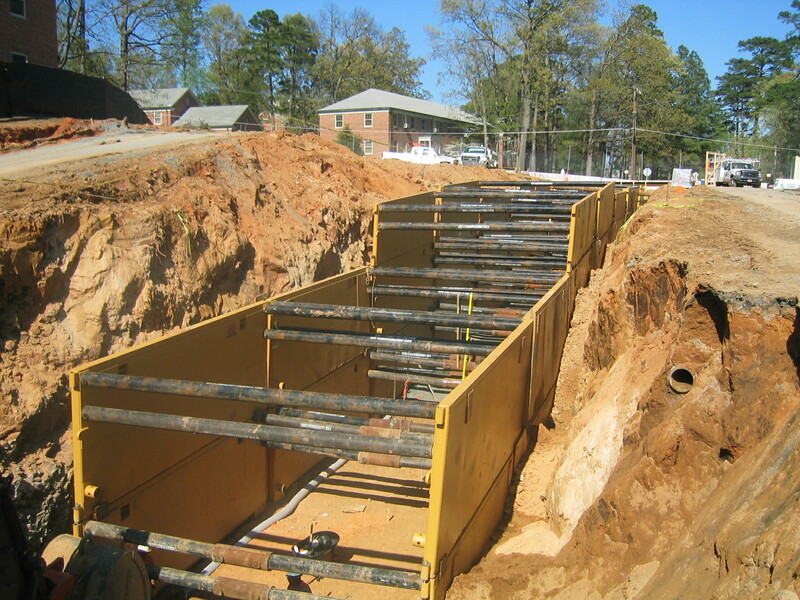 Erect barriers or fences to protect against falling into the excavation. For the industry to prevent such incidents from happening is very challenging. However, incidents like this can be reduced by educating employers and employees, as well as through continuous developmental training courses provided by specialists for identification of excavation controls. In addition to education and training, every site should have a geo-technical report which would identify soil conditions. If these soil conditions can be communicated effectively, they could provide an early warning to contractors when performing their risk assessment. Michell emphasised possible reasons for such incidents. These include the fact that safety is often neglected because the contractors have not ‘included the costs’ for safety measures. Sloping, benching or shoring excavations take time, effort and material which obviously results in additional costs. A lack of understanding of soil conditions result in the attitude that ‘there is no warning before and excavations cave in’. However, this is not true when; you plan before you dig, find out any information from the health and safety specifications or geo-technical report; ensure that a ‘competent’ person supervises work related to excavations; and provide training for contractors to identify signs of a possible collapse. For plumbing companies: if the company is not responsible for the actual digging of the excavation and take access to it to install their materials, then the responsible person must be satisfied that the excavation is safe. If not, they should ensure that the excavation is made safe before they take access to complete their work. For information regarding the latest construction building regulation standards contact employer associations who have specialists or access to specialists. These specialists will have access to either government committees or sites on government committees, which can keep members up to date with legislation changes. Alternatively, employers and employees can visit the Department of Labour’s web page for the latest legislation. As a plumber, it is important to ensure you have completed the necessary training and trades tests in order to practise lawfully. In addition, it is the plumber’s responsibility to register with the Plumbing Industry Registration Board (PIRB). Being a registered plumber with PIRB gives plumbers access to continuous skills development and to updated regulatory standards. Sihle Manda - 'Man Dies In Trench As Sand Caves In'. (2015): the Mercury. Print. Deshni Ramkissoon-Pillay - '22-Year-Old Killed As Trench Caves In'. (2015): Web. 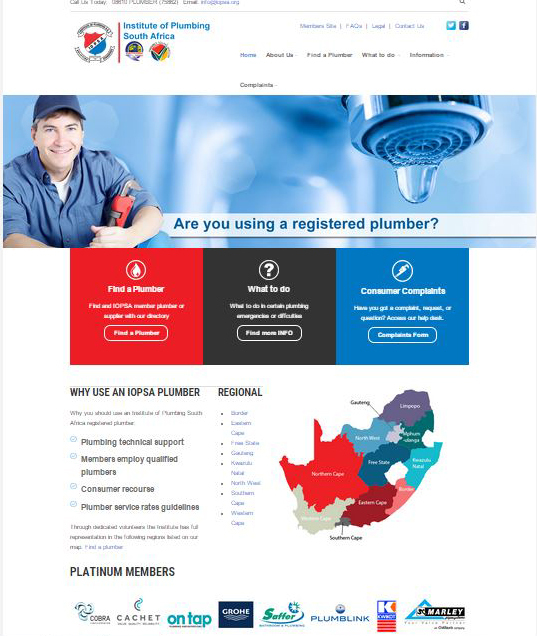 IOPSA launched a new consumer website that helps connect plumbers to consumers. The Institute of Plumbers South Africa (IOPSA) has launched a new website which the Institute hopes will benefit the industry. The website is dedicated to creating awareness, educating the consumer and promoting Institute members. This website is where you can view your company details, which IOPSA markets to consumers and property owners. Consumers can search by service required, type of plumber and by city. Visitors to the website can also view members’ locations using Google Maps. Each member’s services are tagged and optimised for Google searches. To check out the new website, go to www.iopsa.org.za. The Free State branch of the Institute of Plumbing South Africa (IOPSA) invites you to their annual golf day, to be held on 10 September 2015 at Schoeman Park, Bloemfontein. Complete your entry form today, so that you can take part in what will prove to be a day of fun, sun and excellent golfing! For more information contact Tokkie Fraser on 051 430 2994. The Institute of Plumbing South Africa (IOPSA) is the only institute in South Africa that provides a voice for plumbers. Below is a breakdown of all the benefits members will gain when they join IOPSA. To represent the value proposition of the plumber. To be the leading body for the plumbing sector. To promote sustainable business practices. To actively support relevant skills development through training and education. 1. Plumber training: The association is a Quality Council on Trades and Occupations (QCTO) Assessment Quality Partner for solar geyser and heat pump training, and can assist with trade testing and training provider accreditation. It is also a Continual Professional Development (CPD) activity co-ordinator and development of industry training as a whole. 2. Technical support: Includes member technical advice and standards guidance. 3. Consumer recourse: Promote consumer confidence, member code of conduct and consumer recourse. 4. Business guidance: Development an empowerment through business acumen and business tools. 5. Promotion of members: Advertising and promotion of members including the value of IOPSA members bring to the industry, marketing both nationally and regionally. 10. Association and collaboration with the Plumbing Industry Registration Board (PIRB). 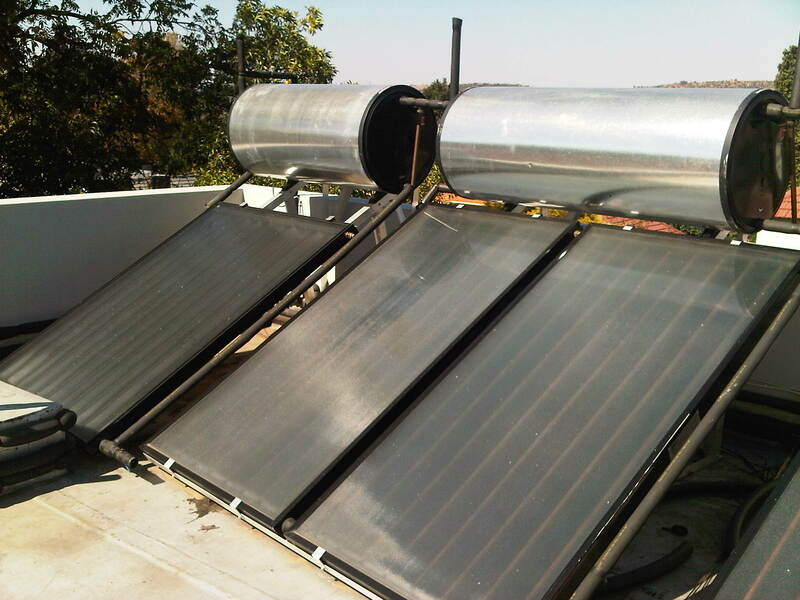 Numerous laws, regulations, bylaws, contract and tender specifications, service level agreements, rebate terms of reference etc., require that solar water heating installations must comply with SANS 10106 for the installation, repair and replacement of domestic solar water heating systems. It has been seen by some as a market disadvantage to the good plumbers who do correct installations but who then get undermined by the bad plumbers who either don’t know what the SANS standards require, or they are in the business of cutting corners and quoting lower prices by using materials that don’t comply with SANS standards. The enforcement mechanisms in the plumbing industry are the municipal water/sanitation and building inspectors and the Plumbing Industry Registration Board (PIRB) certificates of compliance (COC) with built-in percentage inspection mechanisms. Section 9 of SANS 10106: 2014 now makes the issuing of a COC a requirement, the same as an electrician must issue an electrical COC for the electrical installation. This section reads, ‘9.1 - A plumbing COC from the plumbing professional body registered under the relevant national body [the South African Qualifications Authority (SAQA)] shall be issued ...where work has been carried out on the hot water reticulation system which includes the installation of a solar system.’ The professional body for plumbing registered with SAQA is the PIRB. A solar water heating system is therefore not SANS 10106 compliant if a PIRB certificate has not been issued. It is important for plumbers who are complying with the legal requirements regarding all solar water heating installations, to ensure that their clients and potential clients are aware that they are in fact PIRB registered and do issue PIRB COC in full compliance with SANS 10106, as required. Such COCs will also be required for insurance cover of the installation. This now levels the playing fields so that the minimum level for competing in the market are the requirements of SANS 10106, nothing less. It is therefore in your interest to obtain a copy of SANS 10106: 2014 edition 4 and make yourself familiar with its requirements. The practice of doing solar installations without being properly qualified, not using compliant materials and not issuing PIRB COC is now illegal in terms of the National Building Regulations, the Water Services Act, the Occupational Health and Safety Act, the water and sanitation bylaws, and the Consumer Protection Act.